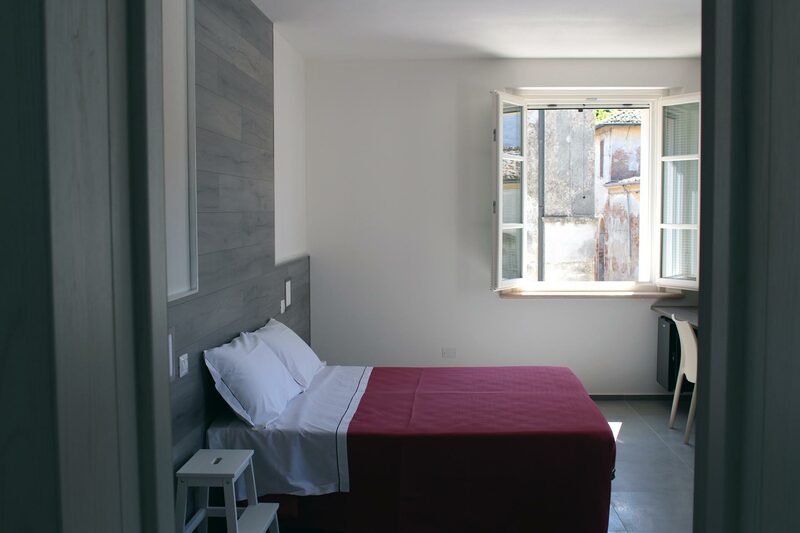 We've renovated a beautiful house between Via Colonna and Via della Zecca. 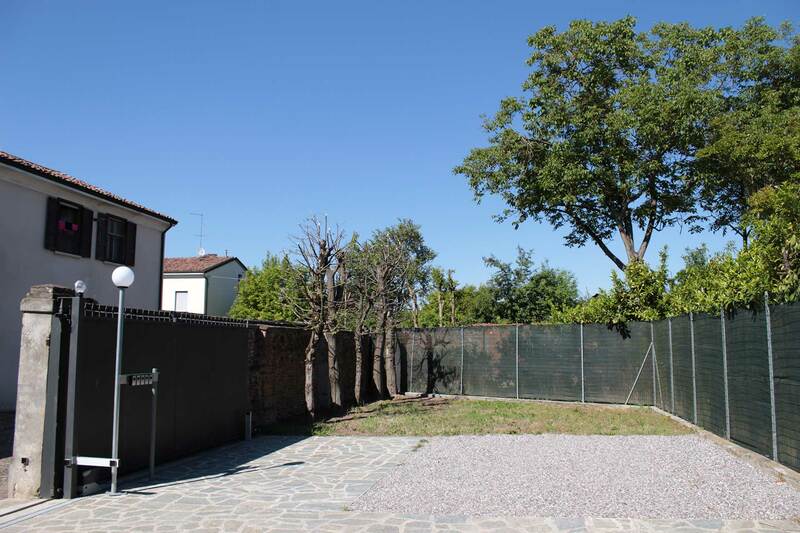 200 meters from Piazza delle Armi and Palazzo Giardino, within the city walls, but outside the limited traffic zone. A high profile property with rooms of a clean design, simple, elegant, and complete with every comfort. 5 exclusive solutions, each one distinguished by its own characteristic features. UNESCO Room: Overall our most requested room. Features 45° bed placement, and an extra large shower cubicle. A union of modern and classic features for a unique experience. Open Space: Complete with kitchen space, including stove, oven, and 200 litre refrigerator, bed area, private courtyard, bathroom with washing machine, ideal for an independent stay. Family Room: Composed of two separate rooms. Double bedroom with extra single bed, single room and spacious bathroom. For a comfortable and peaceful stay. Vespasiano Room: Large room with double bed, single bed, living area, walk-in wardrobe, and master bathroom. 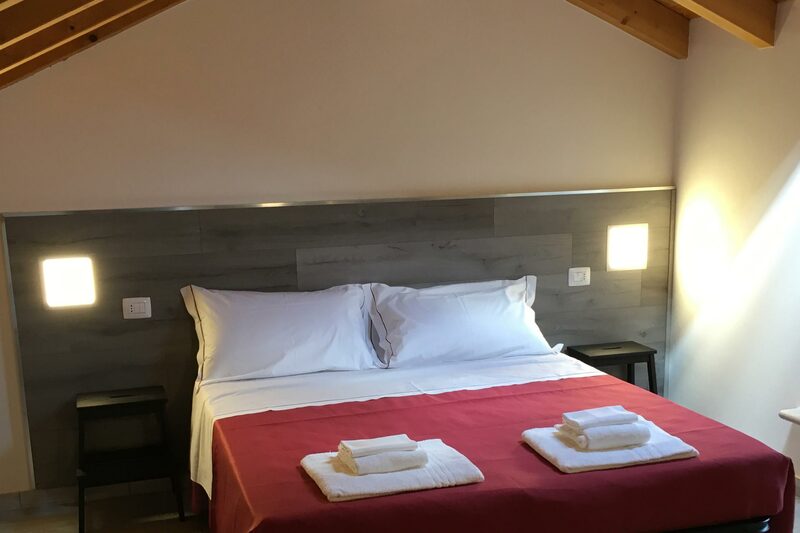 Romantic Room: Beautiful room with exposed beams, double bed with view of the antique Gonzaga Wall. All the services that make your stay pleasurable and memorable. The prices include: cleaning service and towel change every 2 days, weekly compete clean, parking, gas, water, electricity, and IVA (VAT). 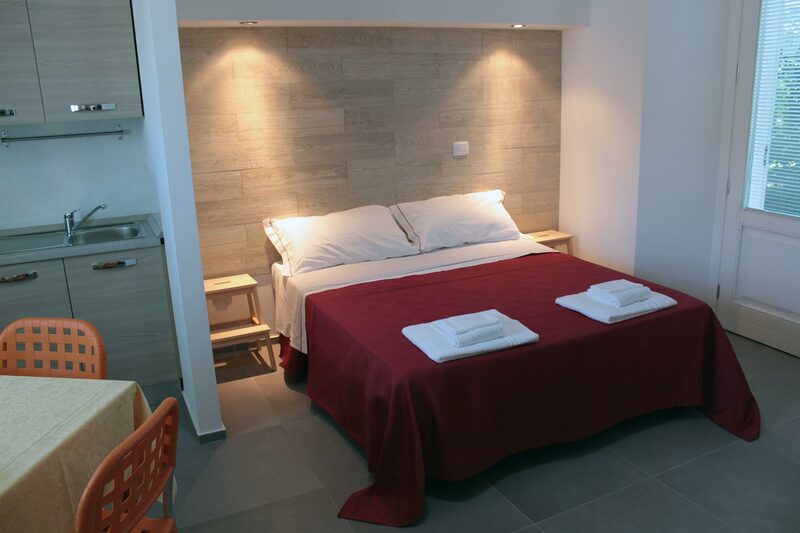 All services at the Luna Residence Hotel: relaxation area, bicycle hire, Wi-Fi, bar, and tastings. 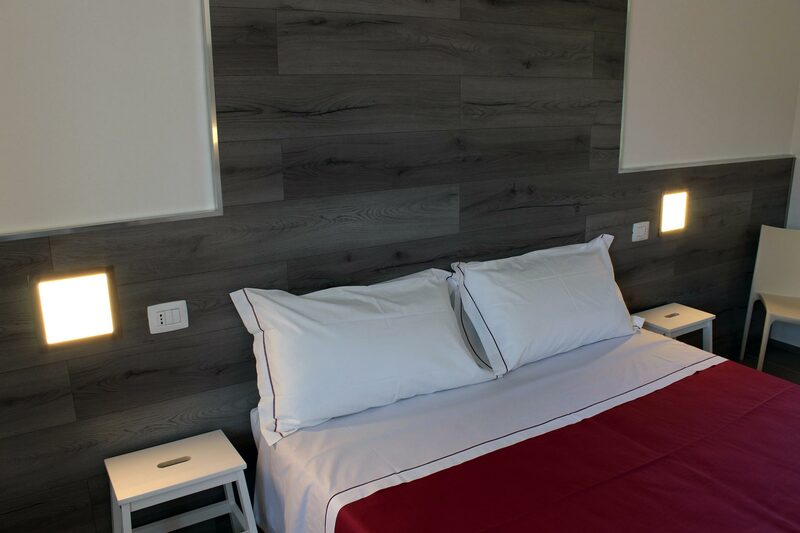 The prices include: Weekly complete clean and midweek towel change, use of the kitchen (sterilised on each change of guest) and kitchen utensils, parking, gas, water and electricity consumption, and IVA (VAT). All services at the Luna Residence Hotel: relaxation area, bicycle hire, Wi-Fi, bar, and tastings. Automatic entrance: You will be provided with an access code to enter your room automatically. 5 car spaces in a private courtyard with automatic access, with the antique Gonzaga Wall in the background. Washing machine and dryer, solarium, bicycle hire, and bookings for museums. Additionally, all the services at the Luna Residence Hotel are also available for you: relaxation area with hydro-massage spa, Wi-Fi, bar and tastings. Check in can be made from 10:00 to 12:30, or from 17:00 to 21:00 at the Luna Residence Hotel at Via Maria Molossi, 14, Casalmaggiore (CR). Payment is to be made before or at the moment of check in. Check out time is 11:30am. Independent check in can be made at any time, provided that a copy of your documents and credit card details for payment is previously forwarded to us. To confirm your booking, you need to provide your personal details, telephone number, and credit card details to guarantee the booking. A pre-authorisation operation will be made for the amount equal to the payment of the first night of your stay. Your account will credited with the amount upon the success of the operation. 5 Rooms, each with their own characteristics. Suited to every need, to every kind of traveller. Discover them all. Vespasiano Gonzaga is recognised as the founder of Sabbioneta, an ideal city built during the height of the Renaissance. The Duke intended this jewel to be the home country he had never known, aesthetically reproducing the emotions he experienced on his wanderings in the most beautiful European capitals. Where does the name Sabbioneta derive from? The name Sabbioneta come from the two words: “sabbia” (sand) and “netta” (clean), because where the city is now was all once a foul-smelling, wet swamp, the likes of which only the ambitious design of Gonzaga could reclaim and restore. Its defensive walls, street grid plan, public spaces and monuments make Sabbioneta an example of one of Europe's most ideally constructed cities, able to wield its influence on city planning and architecture both within the old continent and beyond. Sabbioneta is at the same distance from three cities: Mantua, Cremona and Parma and we are only 54 Km from Garda lake, in the Oglio Po area, the land between two rivers. 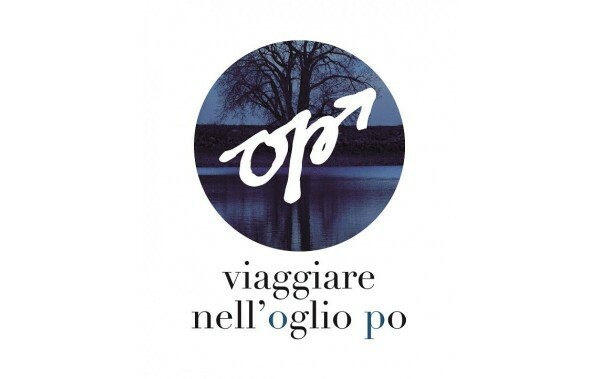 The level ground of Cremona and Mantua, between the river Oglio and the river Po, has the features of a real territorial region that, by surpassing the individual administrative boundaries, gives rise to a landscape and cultural system of big value, distinguished by the brand OP. As we wait to welcome you to Sabbioneta, here is how to contact us. 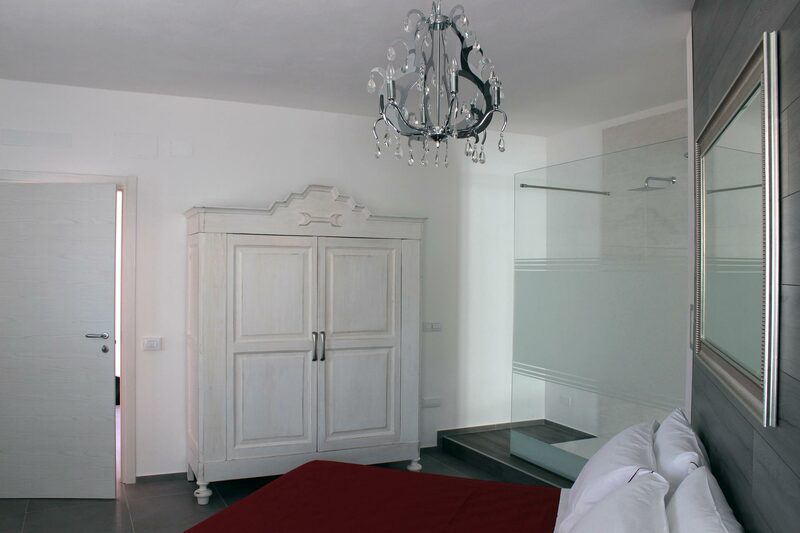 Keep in mind that the reception and check in are at the Luna Residence Hotel, in Casalmaggiore, Via Molossi 14.